Italian racier Valentino Rossi had 7 World Champion ship MotoGP title and total 9 title of World Championship. With 295 points he is the 2nd of the 2015 world ranking. This Italian has 82 Grand Prix victories in total 108 Gran Prix victories. With 4World Championship title this Spaniard racers have 54 Grand Prix Victories in his career. With 263 points this year he is the 3 in the point table. In his career he had no MotoGP world championship. Out of 49 Grand Prix victories 26 was at MotoGP and 15 at 250 cc. In his 10 Gran prix victories 1 was at MotoGp. And his only World Championship title was came at 125 cc. 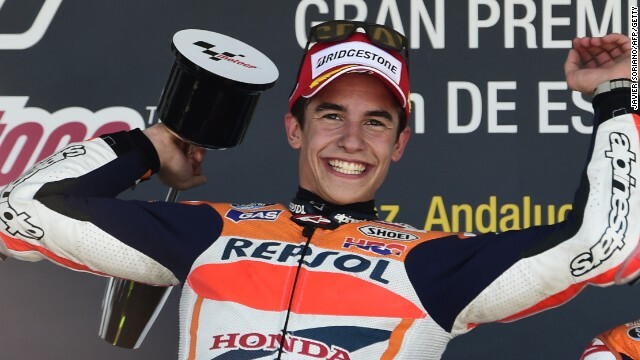 This Spaniard had played his first Grand Prix at MotoGP in 2014- Qatar. No success at MotoGP so far. Win one World Championship at Moto 2 with 10 Grand Prix. The highest success at MotoGp is the second position. With 126 points this Spaniard in the 7th at the point table. Have just 3 victories at 125cc and the best result in MotoGP is the 3rd position at 2013. World Championship: 1 in Moto2.